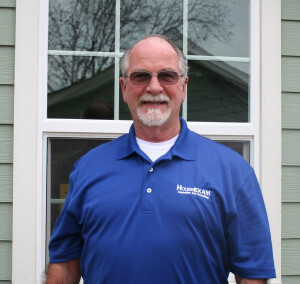 Victor Sedinger started House Exam Inspection in 2004, having been involved in home remodeling for his whole adult life. Victor grew up on the east side of Fort Worth, and graduated from Eastern Hills High School in 1965. After serving four years in the Marine Corp, he attended university of Texas in Arlington and Texas Christian University. He was ordained as a pastoral minister in 1976 in the Christian Church (Disciples of Christ). For over twenty-five years, he served congregations in Lubbock and Big Spring, went on to Lake Charles, LA. His final eight years as a Senior Pastor were served in Indianapolis, IN. Starting a second career was an easy choice for him, since he had always enjoyed the building trades, and remodeling the homes the family lived in. Having hired home inspectors for three of their home purchases, he was impressed at the personal contact and rapport required to do that job. He attended Leonard-Hawes (Inspector Training Associates) in Colleyville, and received his Professional Inspector license (TREC #7195) in June 2004, with the Texas Real Estate Commission. Among his other certifications are: Certified Inspector with the American Society of home Inspectors (ACI #251929), and Pest Control Applicator and Supervising Applicator with the Texas Department of Agriculture Structural Pest control Service (TPCL #0598337). What he enjoys most these days is spending time with his grandkids and watching them grow. His hobbies include silversmithing, guitar and reading.